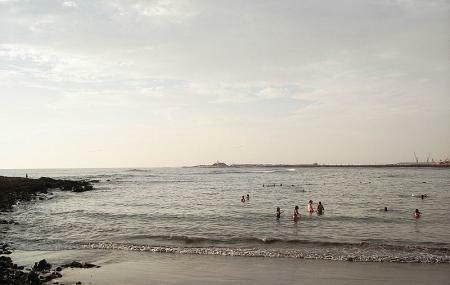 The El Laucho is a wonderful beach in Arica with warm and calm waters. There being no huge waves, the beach is perfect if you are visiting with kids. The sand is absolutely clean so the kids can have fun making sand castles here. There are changing rooms, toilets and places where you can rent things like umbrellas and chairs. With no ruckus around, you can sun bathe comfortably or read a book. If you are planning to stay there for some time, do watch the spectacular sunset. El Laucho Beach is not a popular tourist spot and visitors exploring prime attractions like Museoa Arqueologico San Miguel De Azapa and Cuevas De Anzota. For more popular attractions visit things to do in Arica. Find the joy in planning a D.I.Y. trip by using this awesome Arica trip planner. You can add cozy hotels in Arica like Hotel Sol De Arica, Hotel Gavina Express and Chinchorro Suites Hotel Lodge. Draft the best Arica vacation packages using ideal templates offered by TripHobo. Also explore how to reach Arica on the go! Love this? Explore the entire list of places to visit in Arica before you plan your trip. Fancy a good night's sleep after a tiring day? Check out where to stay in Arica and book an accommodation of your choice. How popular is El Laucho Beach? People normally club together Plaza Colon and Museo Historico Y De Armas while planning their visit to El Laucho Beach. By Matías Ignacio Pérez V.